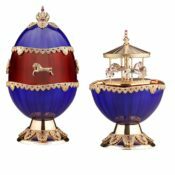 Theo Fabergé worked on perfecting his Carousel Egg for many years and was particularly inspired during his many visits to the United States. This creation captures the essence of carousel art as perfected in the American amusements made between 1860 and the late 1920s. Immigrant craftsmen brought their skills to their new home and expanded on a popular ride for both children and adults that had existed on the Continent since the early 1700s. American figures are more elaborate than European, in particular their horses having tossed manes, animated bodies and expressive eyes as identifying hallmarks. 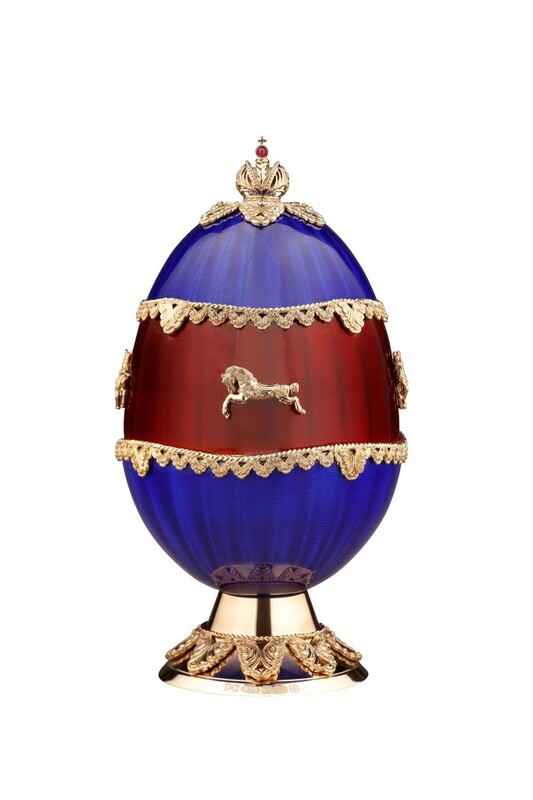 This sterling silver, 24 carat gold and enamel Egg, is a first in having two colours of brilliant enamel on the shell, both royal blue and cherry red guilloché enamel. The finial, the Romanov Crown, is set with a cabochon ruby. 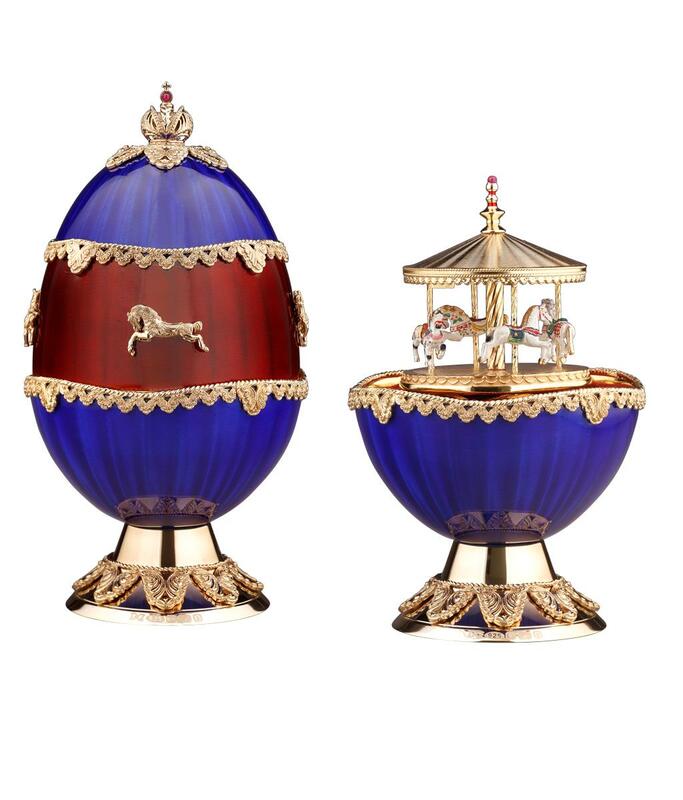 The decoration on the outside of the Egg is taken from design themes from working antique carousels. On opening the Egg, the surprise, a working carousel embellished with Theo’s favourite engine turning. Upon being wound, as the carousel rotates, it horses rise and descend to the music of the Carousel Waltz by Chopin. The three distinctive American styles are represented in Theo’s lavishly hand-painted enamelled horses: the Philadelphia, the Coney Island and Country Fair. 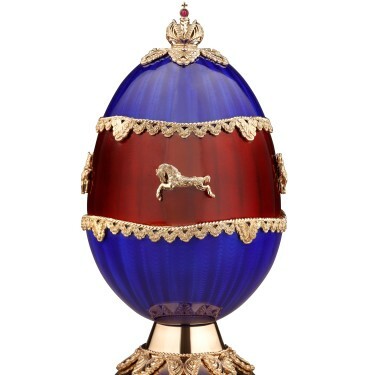 Each creation is numbered and bears Theo Fabergé’s hallmark. Presentation in a golden carriage-case with limited edition certificate.